The 5th annual Innovation Institute is June 12 & 13, 2019. This gathering of educators explores the potential of educational technology and best practices in education. The 2-day conference features 2 keynote presentations. Participants choose from more than 80 sessions daily that are designed specifically for educators, administrators, instructional coaches, and technology specialists. No matter the device, grade, subject, or skill level, every attendee will experience relevant learning. 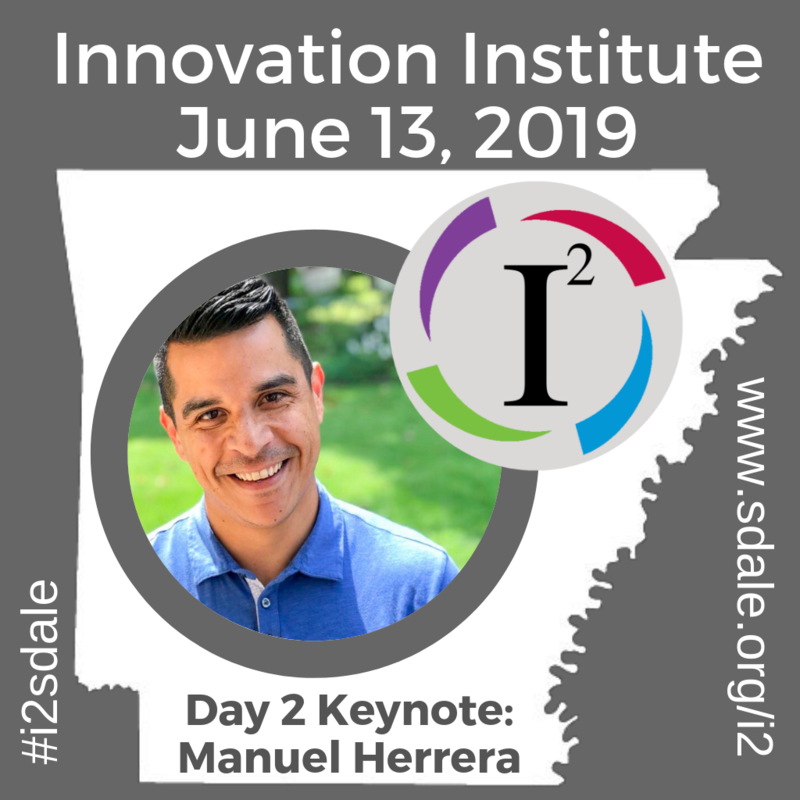 The Innovation Institute (#i2Sdale) provides educators the opportunity to discover new skills, strategies, resources, and ideas to refresh and enhance teaching and learning with innovative best practices. Come for one day or both, either way this conference promises to meet all of your needs. This conference takes place on June 12 & 13 at Har-Ber High School in Springdale, Arkansas. Doors open daily at 8am and the keynote begins at 9am. There are 5 breakout sessions throughout the day and food trucks will be on site offering delicious lunch options. Each day concludes at 4pm with prizes being given throughout both days. Participants must be present to win #i2sdale prizes. If you are traveling to Northwest Arkansas find a list of local hotel accommodations on our website including discount codes. Individual session sign-up will be available mid-April through a separate scheduling system called Sched. Information about how to log into Sched will be emailed to you soon. We will include instructions explaining how to update your personal profile, how to indicate your interest in sessions, how to create a personalized schedule, as well as how you can connect with other #i2sdale participants and presenters. Both credit cards and Purchase Order's are options for payment. PO's will be accepted from now until June 1, 2019. Payment for registrations made after June 1, 2019 will require a credit card. Please make your PO to the University of Missouri - eMINTS National Center. Submit PO's to Vicki Fox (foxv@emints.org). If your district requires the vendor W-9 it can be downloaded here. The PO must include names of all participants. Contact Vicki Fox (573-884-7202 foxv@emints.org) if you have additional PO questions. All PO's must be received by June 1, 2019.